Foreign press is suffering from willful ignorance and blindness. There is a big difference between freedom of speech and insults, contempt and shooting serious accusations based on forged fabricated stories. There is a big difference between criticism and deception, inciting against a country’s national security and official institutions while the country is fighting terrorism. Foreign journalists and reporters in Cairo claim that The Egyptian State is repressing their freedom of speech. Obviously, they consider ruining Egypt’s and Egyptians reputation in front of the international public opinion “a freedom of speech”. Okay so if this is the only language they speak and understand, then we will use their same language of “freedom of speech”, because we don’t respect those who contempt and disrespect us. Any idiot can write articles, it doesn’t make any one a professional journalist, just by throwing up some articles. A professional journalist respects his/her readers because his main goal is to belong to the truth and nothing but the truth. A journalist main job is to connect the dots to reach the truth, and not to be biased to certain directions, currents or special agendas. Reaching the truth, is not an easy job, it takes time, efforts and a very hard work of digging deeply in order to gain the readers trust, through the credibility of the news and the accuracy of different sources of information. And on the top of all this, the loyalty to the press profession and the honesty in reporting the news. The press profession can be very dangerous and destructive, if it takes the path of misleading readers and international public opinion deliberately against a specific country like Egypt. Especially that Egypt is going through a very critical period for almost 3 years now, and this critical period necessitate that whatever is published about Egypt, must be accurate, neutral and match with reality on the real ground. Foreign Press in general and US press in particular are throwing up articles about Egypt on a daily basis. I really feel sorry for them, it must be so boring and exhausting to repeat the same lies every day. 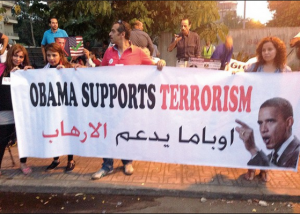 They have no shame to show their support for terrorism when it comes to the Middle East region, and Egypt. They really made me believe in cloning, every time I’m reading their articles and news about Egypt and the Middle East. They are really good in “copy paste” forged news from each other! I don’t exclude The Egyptian press or media from my criticism. Many of them, they just went with the wave, and they played a big role in misleading Egyptians during and after the 25th of Jan 2011 revolt. 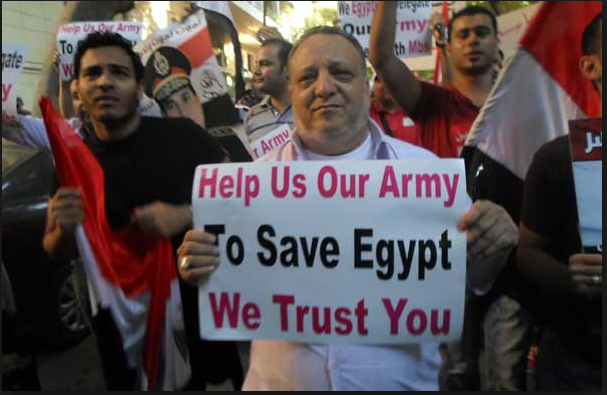 Many of them were inciting Egyptians on destroying the states’s institutions under the claim of “change and reforms”. Except for very few, who respect the press code of conduct and they were not hypocrites. The “Military dictatorship rule”, is the US and foreign press favorite expression and headline about Egypt’s daily news, beside of course “the coup”, “The repressive military regime” “The corrupted assassins generals”. I bet that they don’t even know the definition of “Military rule”! Military rule is the regime that controls a country after an occupation or invasion. Military rule governs a country after stopping all civil laws and replaces them with military laws, and subdues their control on the entire country. In addition to applying martial laws on all state’s institutions. Is this the case in Egypt? I think that if it was the case, we would have been isolated by now, from the International community. More than 33 million Egyptians revolted against Muslim Brothers terrorists and the military decided to meet with people’s demands and protected the country from a civil war on 30/6/2013; 20 million Egyptians voted yes on the 2014 constitution; We will soon vote on the presidential elections and freely choose our next president; After the presidential elections, we will vote on the parliament elections. Then, we will do our utmost and work really hard to make reforms in all sectors and build our country based on what we choose freely for our future which is based on freedom, independence, social justice and real democracy. Foreign press claim that Egypt is ruled by the “Military”, and they don’t present any proof on their claims, except what they keep repeating! Any one reading what foreign press is publishing about Egypt and is comparing it to what Muslim Brothers are claiming, there is not even a slight difference. Same news, same lies! 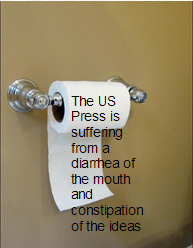 US press is suffering from going bankrupted, and this is one of the reasons, they rent their pages to Muslim Brotherhood terrorist organization. US press ignores and refuses to publish any article that is not supporting the Muslim Brotherhood terrorist organization, the only interviews and articles they accept to publish, are those who are against Egypt’s revolution of 30/6 and those who support Muslim Brotherhood. All these articles and letters addressed by US press, International human rights, NGOS, and the US team working against Egypt, to Mr. Obama, begging him to punish Egypt severely because they believe that Egypt is going bad! Some even went further in sending messages to the US administration that Egypt’s partnership is harming the United States of America, because Egypt is fighting terrorism! 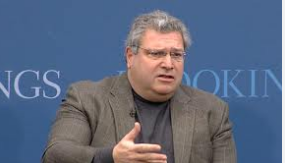 Published by Robert Kagan senior fellow at the Brookings Institution, who throw up an article titled “Egypt: A partnership that damages the U.S.” dated 3/5/2014 on delawareonline. My dear Robert, it’s not Egypt’s partnership that damages the US, as a matter of fact, it is your overweight that damaged your brain! Robert Kagan, mentioned in his article, that the military dictatorship and his supporters in Egypt are not doing America any good, in fighting terrorism! Mr. Kagan talked about the Egyptian military as if they were mercenaries, invaders, enemies, strangers or intruders! Mr. Kagan, you are such a smart-arse, I bet you could sit on a tub of ice cream and tell me what flavor it is! We are not Chinese Mr. Kagan, we are Egyptians and we are living history in Egypt. You described our military as butchers and dictators, based on your fabricated stories that can only fit with your damaged brain! You are a big fat liar Mr. Kagan. If you dare to visit us one day in Egypt, perhaps we can help you on losing some weight, by taking you to every street and city in Egypt. So, you will be able to hear with your own ears and see with your own eyes, the truth directly from the Egyptian people about what is happening in Egypt. You will also be able to find out what Egyptians think about their military, and whether they are assassins or saviors. You will learn from Egyptians who are the mercenaries and the murderers. But I guess this won’t happen, because you obviously got bribed by Muslim Brotherhood to write forged stories about Egypt and you dared accusing our brave and great armed forces of being killers, while they are the ones who are getting killed and losing their lives daily to protect the country from the terrorists you are supporting. The really weird thing, is that Mr. Kagan and many others like him, whether foreign press or human rights organisations, did not even criticize Muslim Brotherhood or condemned their crimes and terror attacks against Egyptians, and we stopped wondering why! US media and press refuse and ignore the Egyptian people who are the real voice of Egypt. It’s not only foreign press and medias that are doing so, but foreign NGOS and International Human rights organizations as well. Muslim Brotherhood managed to hack these organizations and bought their support. On 4/5/2014, Marshal Sisi said in his meeting with Egyptian journalists and media interviewers, that he had meetings with representatives of foreign NGOS before, and he told them that if their goal was to help and train the Egyptian youth on freedom and democracy to participate in developing the country, then to go ahead and help Egypt to build factories to offer jobs for youth, go ahead and help Egypt to improve the Education system for the youth, go ahead and build schools for the youth…He added, that not even for one time he got any response from them, and not even for one time they were able to have any comment on what he suggested. Of course this was not their target. Their target was to train the youth on getting down the Egyptian state under the claim of democracy and reforms. On 4/5/2014, Mrs Tera Dahl, Executive Director of the Council on Global Security, wrote about her recent trip to Egypt with a delegation of national security experts and journalists , that they had the opportunity to meet with senior-level Egyptian security officials, as well as several members of the country’s various religious and civil society movements. Mrs. Dahl said that The message being disseminated in the Western press about Egypt is contrary to the reality on the ground. Having spent an extensive amount of time in Egypt since the removal of Mohamed Morsi last June, Mrs Dahl said, that she can say with confidence that “anti-American sentiment” is currently at a dangerously high level, but not for the reasons many in the foreign press cite. The animosity stems from America’s policies of not backing the Egyptian people and their war on terrorism. polity must be built on, asked her and the delegation, why Washington and US press are supporting terrorism and not supporting the Egyptian people and military in their fight against terrorism?! Many Egyptians simply don’t understand why the US cannot perceive the political reality on the ground. 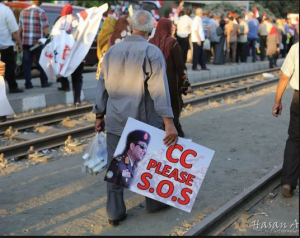 Egyptians are facing a counterinsurgency war in their very backyard. There is a clear campaign in the Western media and in many Western think-tanks and policy organizations to turn the Egyptian military into the enemy and the terrorist organization of the Muslim Brotherhood into the innocent, democracy-loving victims. This narrative is deceitful and needs to be countered. The Egyptian military is America’s ally and has been since 1973, and the Muslim Brotherhood is America’s enemy. The Egyptian military is fighting against terrorism; America fights against terrorism. America and Egypt are fighting the same enemy with the same ideology that killed thousands of Americans on 9/11, thousands of Americans in Iraq, and is still killing US troops in Afghanistan today. This is what Mrs Tera Dahl said after her recent visit to Egypt. As an Egyptian citizen, I’m so thankful and appreciate Mrs. Dahl’s statement about Egypt, not because it matches with what I think, but because she simply told the clear truth as she saw it with her own eyes. If there is any one who is inciting against America and spreading hatred and anger in the Arab world against the US policy towards the Middle East and especially towards Egypt, it is the Obama’s administration, and the US media. History repeats itself. An old video of Late president Gamal Abd Elnasser (during the 60’s) in a press conference, a question addressed by a British Journalist from the Daily Express. Nasser replied: “I read the Daily press every day, and you guys are insulting me daily, and I really feel so bad and my mood changes, when it passes a day and you don’t insult me! “You guys insulted me before 1956 and till this minute I speak. As a human being, I’m giving you guys excuses. In relation to my age, I didn’t even reach 50. I’m not a mushy man like Your Eden.” (Eden Robert Anthony Eden, was Prime Minister of the United Kingdom from 1955 to 1957).